For the first time since a bill to outlaw circumcision was submitted in Iceland, local media outlets are protesting against the initiative and calling on the country's parliament to adopt the model that exists in other European countries over this charged issue. "For the first time since we launched a campaign against the bad legislation to ban circumcision in Iceland, the mainstream media in Iceland are calling for the adoption of the model we have obtained at the Council of Europe in Germany and the United Kingdom and for establishing ethical and medical standards that will allow circumcision to be observed as it has for generations. We are certainly optimistic, but the campaign has not yet ended," said Rabbi Pinchas Goldschmidt, president of the Conference of European Rabbis. Rabbi Goldschmidt spoke one day after the international protest and conference held at Nordic House in Reykjavik, Iceland. The conference was attended by the vice president of the conference, the assistant to the Chief Rabbi of France, and the secretary of the French Chief Rabbi, Rabbi Moshe Levin. The Jewish communities in Scandinavia were represented by Rabbi Yair Melchior of Copenhagen and the president of the Helsinki Jewish community, Yaron Nadbornik was also in attendance. The World Jewish Congress was represented by Jonathan Arkush, president of the Board of Deputies of British Jews. 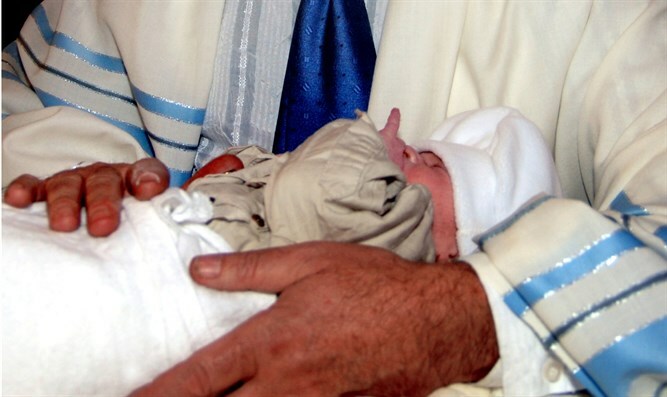 The European Rabbinical Congress delegation was represented by Prof. Bernard Loebel and Dr. Ty Erickson who helped thwart a similar initiative against circumcision in the past in the Council of Europe. A bill that carries a prison sentence of six years was passed in the first reading in the Icelandic parliament two months ago and was proposed by the four parties of the center and left, which constitute 46% of 63 seats.